You could prop up a shoddy table with it. I sketched little flags to hang from the tips of Lillians hairsticks, but it looked kind of silly so I didn't include them. Last panel: Lillian’s bun looks like it contains a kanji or hirigana symbol. Yeah, dunno if you intended this Dave, but the centerfold part of the bun looks either like “dai”, the kanji for ‘big’ or ‘great’, or the kana “o”, which is another reading for ‘big/great’. Which is funny because she is currently discussing Amanda’s BIG behavioral file. For further measure, I looked up any other kanji/kana it could look like, and the only others I could identify as similar were “man”, ‘ten thousand/many’, and “sai”, ‘talent/skill’. So either way, it’s an (accidental?) visual pun. Right to the point, nice. This is what he meant. Seriously. Andi is going to need a ton of luck. It will hurt. Draining years of poison will be unpleasant. But maybe, just maybe it’ll be tinged with hope. Probably *both* of them. But also the circumstance of having evil (non-birth) parents. Who on Earth gives up a child like they did? Teenagers who aren’t capable of raising a child in the conditions that it really needs? It’s not evil; it’s benevolent to the child. Not Todd and Andi, the adoptive parents who returned Amanda to the orphanage. Claiming a child for your own and letting them bond with you only to reject them completely is pretty monstrous. And now the words “Good luck with that” come in to focus. And good for her to talk to Andi about Amanda’s behavior issues first. I´m calling it now: Lillian is a dragon in human form. A “golden dragon of wisdom” from Michael Ende´s “Jim Button”. Have you read his book Momo? I haven’t read it since middle school but it really impacted me. Yay, another Ozy and Millie fan. I really loved that comic and was really sad when it ended. Just in case you’re unaware, Dana Simpson (creator of Ozy and Millie) has more recently been making Heavenly Nostrils (or Phoebe and Her Unicorn, as it’s recently been renamed (to better reach a wider audience, I think)). http://www.gocomics.com/phoebe-and-her-unicorn/2012/04/22 is the first strip. I love Heavenly Nostrils! I must be slow on the uptake though, I didn’t realize she’d renamed it. I thought Phoebe and her Unicorn was just the title of Book 2. …I refuse to modify my bookmark. I dunno about propping up an uneven table with THAT thick a file, Dave… Almost looks thick enough to make it MORE uneven, in the other direction. Wait a minute… Didn’t Selkie have a file that thick…granted it wasn’t on behavioral issues, but this almost parallels Todd’s experience, doesn’t it? Is it really that easy to adopt if the child is actually yours? Todd had to go through a huge amount of paperwork and checks, although a lot of it was glossed over / montaged out. Is she adopting, or simply getting permission to visit? It depends on the state, but if you haven’t committed a crime (child abuse) and your kid is actually available to retrieve, yes—it is. The government tends to favor birth parents with the idea that it’s best to keep the family together. Look at how often birth parents make a court case to retrieve their children even *after* they are adopted? It is every mother’s fear after she adopts and while it’s rare that such things happen, they can. Also keep in mind there’s been a big time lapse from the beginning when Andi first contacted them. I believe 6 months to a year since she first called? So it may not have been “that easy.” It takes about that amount of time to adopt a child to begin with. Andi visiting Todd and later calling the hospital happened on Selkie´s first day of school, late August or early September. It´s November-ish now, so 2 or 3 months. A lot of the process has been implied or not shown to avoid bogging the pace down, plus or minus some narrative liberties. But generally if you can prove biological parenthood it speeds things up. 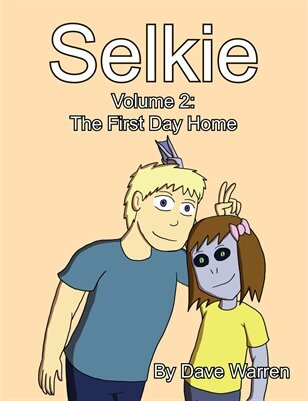 Now for the next phase: discovering that her biological father adopted Selkie from the same orphanage she was at. @_@ I foresee an explosion in the future once that’s happened. When that moment comes, i hope someone stresses that Todd thought that ‘his’ Amanda Marie was dead and buried 8 years ago. Dave, Did Andi and Andi’s mom fake a gravesite? a cremation? Todd strikes me as the sort who would visit his deceased child. It’s a bit of a dark point in the whole backstory I probably wouldn’t spend too much time with on-screen. But in Todd’s parent’s house, there’s a little urn filled with ashes that actually came from a fireplace. I agree. it would take “professional help required” amounts of delusion to think “oh, hey. You know that tattoo I got to honor our deceased daughter? she’s… not so dead. Funny, right?” would work out to get them back together. this HAS to be her trying to absolver herself of the guilt by giving Amanda the love Andi feels Amanda is owed. Trying to use Amanda as a bargaining chip with Todd is exactly what many of us fear she’ll do. We’re are afraid of what more damage this will do to Amanda. And it is CERTAINLY a thing to be concerned about… IF it’s what Andi’s thinking, which we don’t yet know. We’ve had it indicated multiple times that a large factor in Andi’s decision, if not the ONLY one, was the guilt over giving up Amanda in the first place and subsequently lying to Todd about it. It’s been MONTHS and we haven’t seen Andi contacting Todd again – I think she’s at least AWARE he’s moved on and trying to set things right with Amanda since things with him are already over so there’s nothing left to lose. Andi may not make good decisions, but I’m inclined to believe she’s staying with this because she does genuinely want this relationship with her daughter. Has Lillian mellowed over the last few months? But with Andi she accepts “Lillian” with no problem. Her attitude is dependent on circumstance. A single man trying to adopt looks fishy. Especially considering Lillian dealt with someone who clearly sees children as possession before (back when she mentioned she threw a man out because he didn’t want to be escorted). So she was more stern with Todd. With Andi, she’s dealing with a woman who’s taking a huge step and undertaking the daunting task of reclaiming her child that she gave up for adoption. Lillian knows that women who give up their children are often frowned upon and judged. So Lillian is creating an atmosphere of comfort and understanding. Lillian’s been involved in the background processing of Andi’s paperwork and is sitting on a lot of inner glee at the chance to help Amanda. Todd, at that time, was a walk-in and an unknown. Boundaries and expectations must be set. Wow, Amanda has been busy and hateful. I have my doubts that Amanda will at all respect Andi or behave for her, because “you dumped me here for years, you fucker, and NOW you come crawling back?” is probably going to be the only thing in her head. Good luck, Andi. You’ll need it. While prepping this storyline, did you research parents who’ve sought out their children, like Andi is doing? Like, what they’ve felt, how they dealt with it through the process, and their aftermaths? I imagine every single emotion can be churning through someone during the process, and doubtless Andi would be feeling that way too. I did read some anecdotes on it, yes. Some of them were very touching, others were sad. Of the ones I read they seemed to be predominantly about finding out their children had been put into homes and had adoptive families. Some chose to pursue reclamation, others just wanted to be part of the child’s life without seeking ownership. Andi’s hair continues to anger me. Hair does not work that way. Troll dolls do not have accurate hair. She uses a lot of hairspray and mousse. 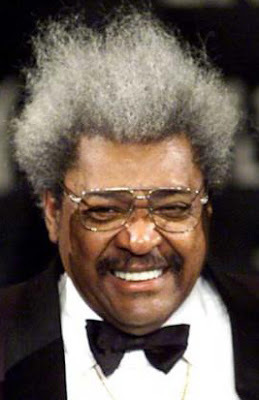 Maybe she’s related to Don King. Son of Bride of Frankenstein! I predict that Amanda will want nothing to do with Andi for a long time. I doubt it will be like either of them envisioned. There is one thing I would like to bring up that is kind of unlikely. Amanda was given up for adoption the day she was born. A child that young is almost always adopted immediately. Yes, when children are as old as they are currently, the adoptions are rare – but those are often children coming from bad situations who weren’t put up for adoption before. Oh, she was adopted. Remember that story she was telling a couple strips ago? Her adoptive siblings bullied her until the parents gave her BACK. That’s why Amanda’s in such bad shape as she is. We found this out back during the Heather arc. I was under the impression she *was* adopted as a baby, but her sh*tty (ex)parents dumped her into the system when they had birth children afterwards. It’s very sick they did that, and easily lends one to wonder at the other forms of abuse she went through beyond neglect and rejection. Yes but that indicated that Amanda was already AT LEAST a toddler. They adopted her when she was small and returned her shortly before Selkie arrived. That doesn’t explain the 5+ years prior, and there’s no indication that she was with them for that long before. Had they really tried to “return” a kid after having them for many years (since she was born), there would have been a warrant issued for their arrest. Then again, Amanda did say they were sent to prison, so maybe that’s what happened – which would raise the question: what became of her ex-stepbrothers. Actually, it’s not considered “returning” a child but releasing your own child to custody of the government. An adopted child is not “property” you take back to the store nor even the equivalent of a pet adopted from a rescue. And, no. You will not get arrested for it (no matter if it is an adopted child or a birth child) as long as you give them up to authorities—versus abandoning them on the streets or selling them. My aunt (and her POS ex) almost did this with my cousin. Part of me wishes they did. We probably would have adopted or at least fostered her, and the rest of her childhood may have been halfway decent. Damn, that’s practically a male version of Amanda. Poor kid. when i looked at the page, towards the bottom under the related articles section, there was a link to an ABC news article about a mom giving up her daughter for adoption WITHOUT TELLING THE DAD! !, and at least in the news clip, the mom deliberately gave the wrong address for him (in the army) so he wouldn’t be able to get her… HOW he found out about who she was adopted by, so he could sue for parents rights is not mentioned, but it was an interesting clip to say the least. *almost* a verbatim copy of Amanda’s case, he at least knew she was ALIVE, and given up for adoption. This has to be every orphan ‘ s worst nightmare: that their parents come back for them, and the first thing they see is everything they’ve done wrong.